Please contact us if you'd like to schedule a deer hunt or if you have questions and comments about our website or deer preserve. 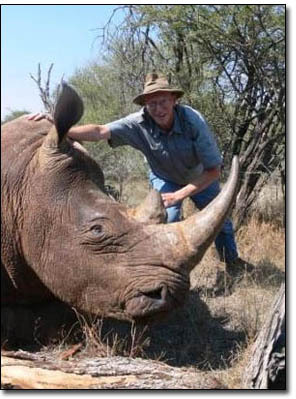 Click on above Michigan map if you need help finding Rhino Hunt Club. At Rhino Hunt Club, we have trophy whitetail bucks nearly as large as rhinos! The first big hunt of the year at Rhino Hunt Club has come and gone with two great bucks being harvested. Both slick eight points with one that scored over 140 inches and the other over 150 inches. Each sported over 20 inch width and were over 5 1/2 years old. From what I've seen so far we should have over 20 large bucks cracking the 200 inch mark; The big bucks are growing out tremendously.